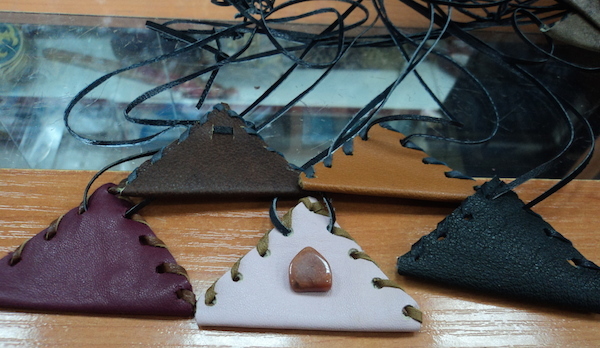 These are Kazakh handmade amulets. They are made out of leather, with a pouch for placing either some words from the Koran, or some soil from the "motherland". And we will throw in some Kazakh soil if you would like!